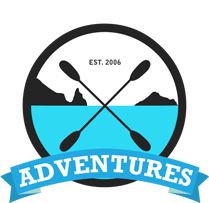 Cornish Coast Adventures | Kayaking and Coasteering in Polzeath Cornwall » Combined Coasteering and Kayaking! Its back by popular demand…. We always have liked to spice up our kayak trips a bit if we can, we also used to offer a Combined Kayaking and Coasteering session. For this Summer we are going to bring that session back. The sessions will be run on our 3 hr format, giving plenty of time for changing and getting sorted, before around an hour of Kayaking and an hour of Coasteering at our amazing Port Quin location. We know every inch of this bay to give you an epic trip even when the weather and sea conditions are a bit bumpy! So if your not sure which activity to try, or you fancy getting two for one, let us know. Top 5 reasons to go coasteering! Great sea conditions for the Bank holiday weekend! Relax and enjoy the amazing scenery or throw a mackerel line over the side and try your luck at kayak fishing. © 2015 Cornish Coast Adventures | Web Design and Photographer Cornwall.